To protect your eyes from the sun or other bright lights, you can use the visor. Sena provides both a long and short visor in the package. Align the buttons of the visor with the helmet and press hard to attach. Press and hold the Jog Dial and the Phone Button at the same time for 1 second to turn the system on or off. Check the helmet regularly for damage. Small, superficial scratches will not impair the helmet’s protective qualities. In the case of more serious damage (cracks, dents, flaking and cracking paint, etc. ), the helmet should no longer be used. 1. Ensure that the chinstrap is properly routed under your chin. 2. To test the chinstrap tension, slip your index finger under the chinstrap and pull. If the chinstrap is loose under the chin, it needs to be tightened. If the chinstrap loosens when you pull on it, the helmet is not properly fitted. Undo the chinstrap completely and try fastening it again, then repeat the test. 3. If you are unable to fasten the chinstrap so that it fits firmly against the chin, check that your helmet is still the right size for you. Note: Repeat the test after each adjustment. if the chinstrap becomes loose when pulled. 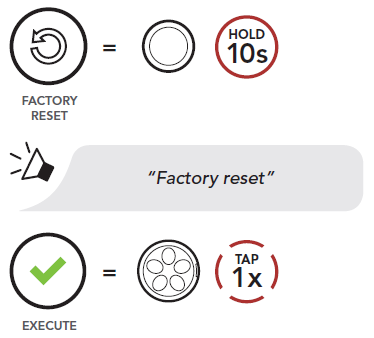 To erase all of your settings and start fresh, the Bluetooth system can be restored to factory default settings using the Factory Reset feature. 2. Gently pull the chinstrap outward and slide the helmet onto your head. Note: A “chinstrap” is the nylon webbing that goes through the D-Rings. 3. Route the chinstrap under your chin, then thread it through both D-Rings. 4. 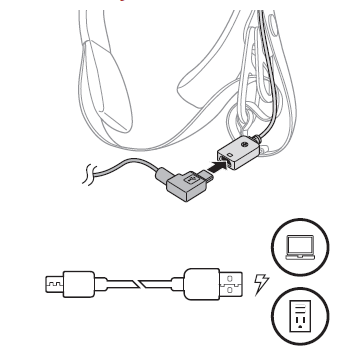 To fasten securely, thread chinstrap back through the D-Ring closest to your neck, and pull. 1. Loosen the chinstrap by pulling the red tab attached to the D-Rings. 2. Pull the chinstrap out from within the D-rings. 3. Gently pull the padded chinstrap outward and slide the helmet off your head. Note: Fastening the chinstrap after removing the helmet will help avoid scratching surfaces it’s placed upon. • You can also answer the mobile phone by tapping the Jog Dial. 1. To enter into the voice speed dial menu, double tap the Phone Button. 2. 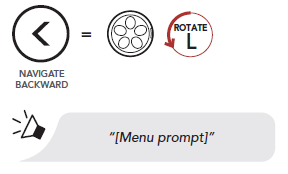 Rotate the Jog Dial clockwise or counter-clockwise to navigate between the menus. 3. To call one of your Speed Dial Presets, tap the Jog Dial or the Phone Button when you hear the prompt, “Speed Dial (#)”. 4. To redial the last number called, tap the Jog Dial or the Phone Button when you hear the prompt “Last number redial”. 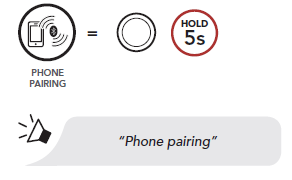 Phone Pairing allows the Bluetooth system to establish two bluetooth profiles: Hands-Free or A2DP Stereo. 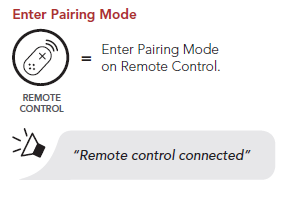 Advanced Selective Pairing allows the Bluetooth system to separate the profiles to enable connection with two devices. 1. Execute Phone Selective Pairing. 2. With your hands-free device in Bluetooth-Pairing mode, select Savage in the list of devices detected. 1. Execute Media Selective Pairing. 2. With your A2DP device in Bluetooth-pairing mode, select Savage in the list of the devices detected. 2. Press the Jog Dial for 3 seconds to begin Group Intercom. 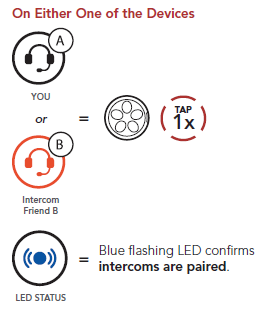 The LED will flash purple and you will hear a voice prompt, “Group intercom”. 3. 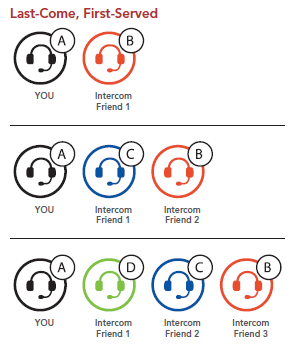 When all of the Bluetooth system are connected together, everyone will hear the voice prompt, “Group Intercom connected”. 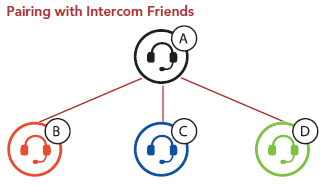 Note: To answer an incoming call, you can end Group Intercom by tapping the Phone Button. 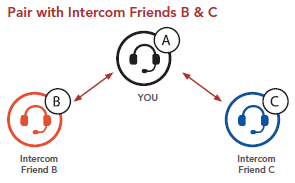 Universal Intercom allows you to have intercom conversations with users of non-Sena Bluetooth headsets. You can pair the Bluetooth system with only one non-Sena Bluetooth headset at a time. 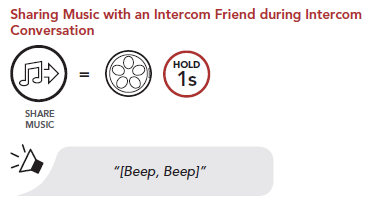 The intercom distance depends on the performance of the Bluetooth headset to which it’s connected. 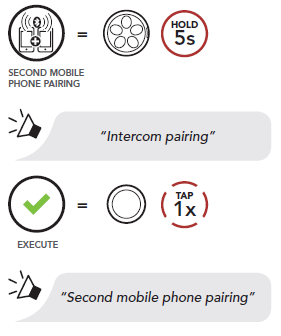 If another Bluetooth device is paired via Second Mobile Phone Pairing while a non-Sena Bluetooth headset is paired with the Savage Helmet, the another Bluetooth Device will be disconnected. 2. Put the non-Sena Bluetooth helmet in Pairing Mode. The Bluetooth system will automatically pair with a non-Sena Bluetooth headset. 3. 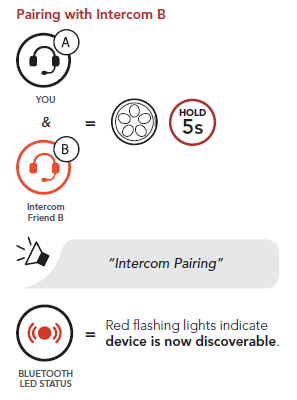 You can have a Two-Way Intercom or Multi-Way Intercom communication with up to three Intercom Friends using non-Sena helmets as described below. 3. 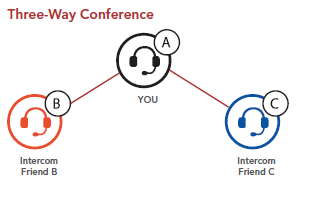 To disconnect the mobile phone call during a conference phone call, press the Jog Dial for 2 seconds. 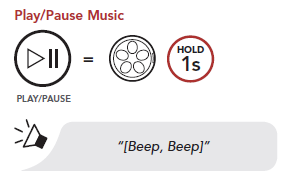 To turn on or shut off the FM Radio, press the Phone Button for 1 second until you hear a double beep. 3. To save the current station, tap the Phone Button. The station will be saved as the next preset number. 4. To stop scanning, double tap the Phone Button. 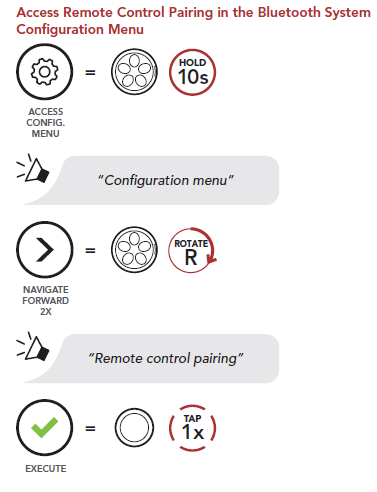 The RDS AF setting can be found in the settings menu, accessible through Sena Device Manager or Sena Smartphone App. 2. To save to current station, press and hold the Jog Dial for 1 second until you hear the voice prompt, “Preset (#)”. 3. 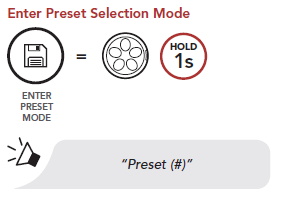 Rotate the Jog Dial to navigate through the preset numbers that you want to store. 4. Tap the Jog Dial to save the station in the preset number you choose. 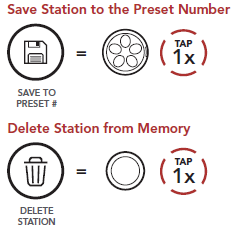 Or, Tap the Phone Button to delete the station from memory. 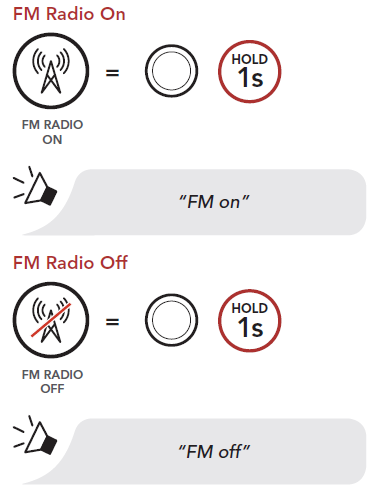 The FM Station Guide setting can be found in the settings menu, accessible through Sena Device Manager or Sena Smartphone App. 1. 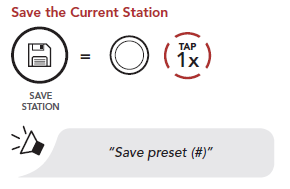 Tap the Phone Button three times to automatically find and save 10 stations. 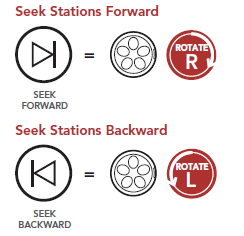 Using the methods above, up to 10 radio stations can be stored. Tap the Phone Button to navigate through the saved stations. 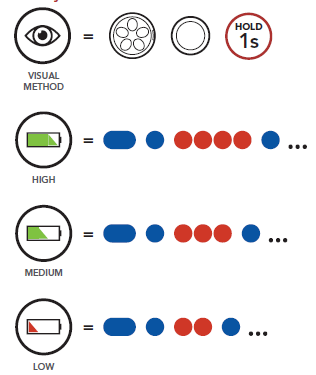 An Audio Boost setting can be found in the settings menu, accessible through Sena Device Manager or Sena Smartphone App. 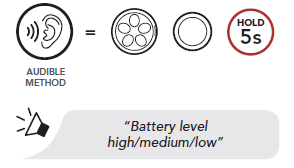 Enabling Audio Boost increases the maximum volume limit. 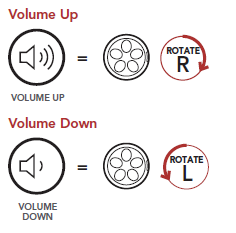 Disabling Audio Boost reduces the maximum volume limit while delivering more balanced sound. 1. 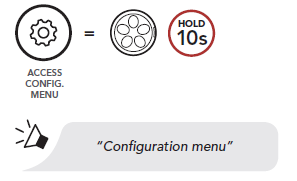 To access the Bluetooth System Configuration Menu, press and hold the Jog Dial for 10 seconds until you hear the voice prompt, “Configuration menu”. 2. 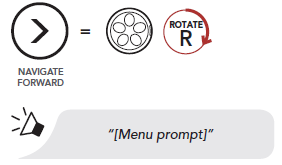 Rotate the Jog Dial to navigate between the menus. You will hear voice prompts for each menu item. 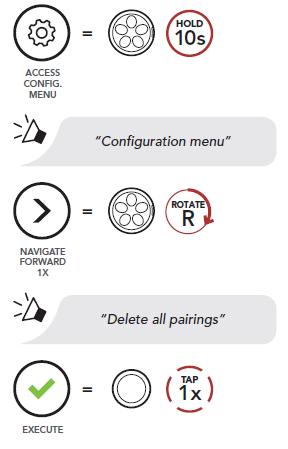 The list of functions is shown in the Bluetooth System Configuration Menu. 3. You can execute the command by tapping the Phone Button. 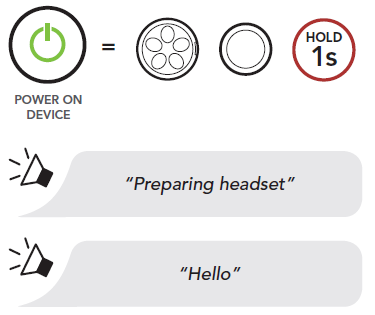 A Voice prompt setting can be found in the settings menu, accessible through Sena Device Manager or Sena Smartphone App. If Voice prompt is enabled, you can hear Voice prompts for different kinds of features. If Voice prompt is disabled, Voice prompts are silenced except for those in the Software Configuration Menu, battery level indication, speed dial, and FM radio functions. An Advanced Noise Control setting can be found in the settings menu, accessible through Sena Device Manager or Sena Smartphone App. The Sena Device Manager allows you to upgrade the firmware and configure its settings directly from your PC or Apple computer. Using this software, you can assign speed dial presets, FM radio station presets and more. For more information on downloading the Sena Device manager, please visit sena.com. The Sena Smartphone App allows you to configure the settings, as well as access the User’s and Quick Start Guides. To do so, pair your mobile phone with your Bluetooth system. Run the Sena Smartphone App and configure the settings directly from your smartphone. You can download the Sena Smartphone App for Android and Apple operating systems from sena.com/headset-app. The Bluetooth system supports firmware upgrades. You can upgrade the firmware using the Sena Device manager. Please visit sena.com to check for the latest software downloads.